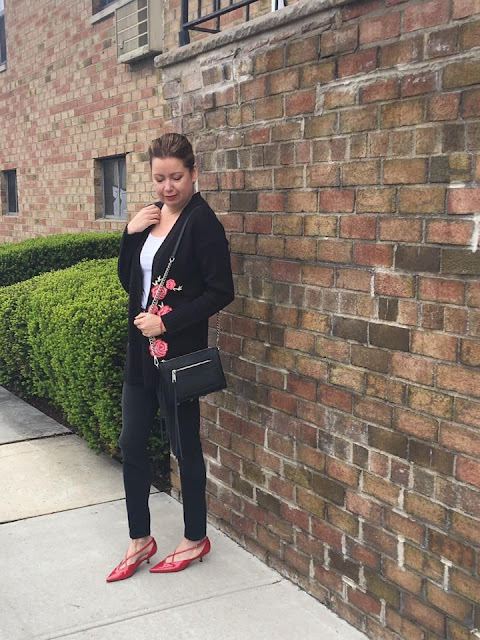 The number one closet staple is a blazer! Thanks for this fashion inspirations. 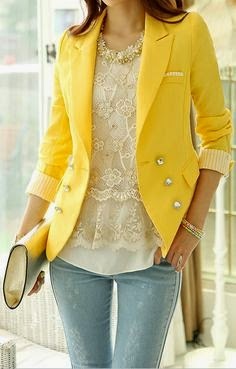 I'd love to try the blazer plus jeans combo next time. Great picks. I love colors so I'm diggin those yellow and blues. And these looks are styled flawlessly. I really appreciate your professional approach. These are pieces of very useful information that will be of great use for me in future. What you're saying is completely true. I know that everybody must say the same thing, but I just think that you put it in a way that everyone can understand. I'm sure you'll reach so many people with what you've got to say. Being inside the house a whole day due to snow, you either binge on a TV show or binge on bad snacking and eat everything there can possibly be in your refrigerator. That was me yesterday!! But since I have been eating cleaner and I knew the storm was coming I made sure I still ate, but healthy. Here is an easy, delicious, fast meal I prepared myself for lunch. Heat the oil on a frying pan and place the tuna burger 3 to 4 minutes on each side, adding the desired amount of oregano. On the same oil sauteed the red onion. On a salad bowl mixed the salad, dressing, seeds and dried cranberries. The sun is back it is Monday and we have our very first American princess!!! I am sure I wasn't the only one who woke up to watch the Royal Wedding. I got up at 3 am with coffee and cookies in hand, sat on my couch and cried, yes, cried, watching. 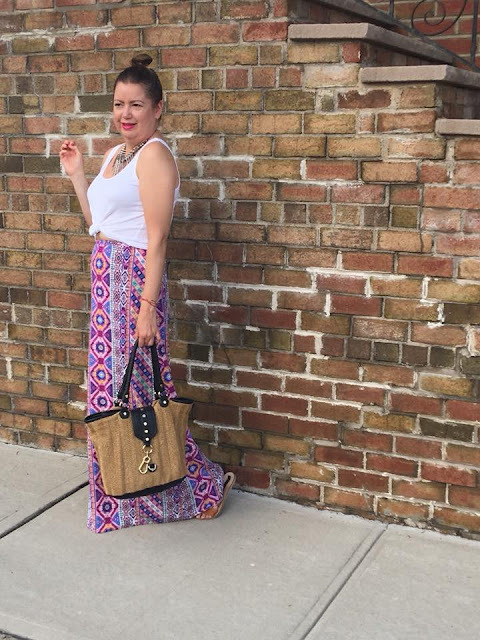 The easiest thing to wear in the hot, humid Summer days is a printed maxi skirt and a tank top. I own tons of these little white tops. I wear them underneath with a blazer to work, or with denim cut-offs and maxis like I did last weekend. They are just so handy! I am co-hosting today with the lovely Ada from Elegance and Mommyhood. She was nice enough to let me be a part of this and I am so happy!